Years ago, lovely young Francesca Walcott ruled the fringes of London society as a mysteriously gifted medium. Until the uncompromising Lord Greyson Sheffield accused her of being a fraud, shattering her world and sending her into exile in the Scottish Highlands. 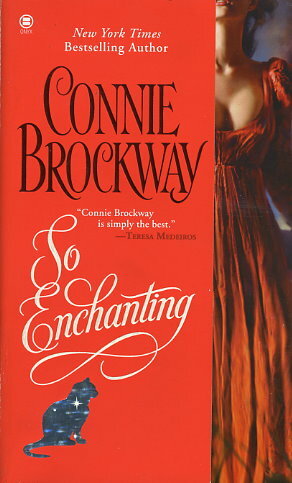 Now Greyson has received word of a young witch in Scotland, and he travels to Little Firkin to investigate, only to find that the girl in question has a companion who is none other than Fanny Walcott, now a ravishing woman. Audacious Fanny is more than his match in every way, and as the sparks of challenge set fire to a passion neither can control, Grey is prepared to risk everything for the one woman he can never forget. Fighting an unseen enemy, thrown together by danger and desire, the cynic and the enchantress discover their own brand of magic ... and a love too powerful, too consuming, too beg g for either to resist.